After yesterday’s frustrations I wasn’t too keen on going back at it, but another part of me was quite keen on getting a little bit done – every day it gets nicer and warmer outside. I started the day with a trip to the gym and lunch with Kim, then a friend of ours, Jon came over to see the car and shoot the breeze for a bit. We hadn’t seen him in a while so it was a welcome diversion. 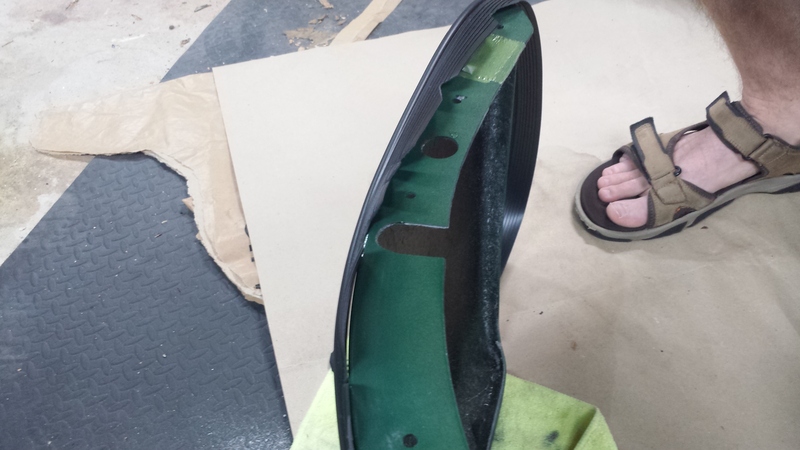 Prior to starting the sanding though, I noticed a small crack in one fender. The crack didn’t go all the way through the fiber glass, just enough to crack the paint it looks like. The arches have been sitting in a spare bedroom gathering dust and spider webs (literally) since August so no idea how it cracked. Maybe in shipping, no idea. At any rate, it’s not bad enough to fret over and I plan to coat the bottoms of the arches with truck bed liner to prevent staring from rock strikes so just proceeded with getting it attached. 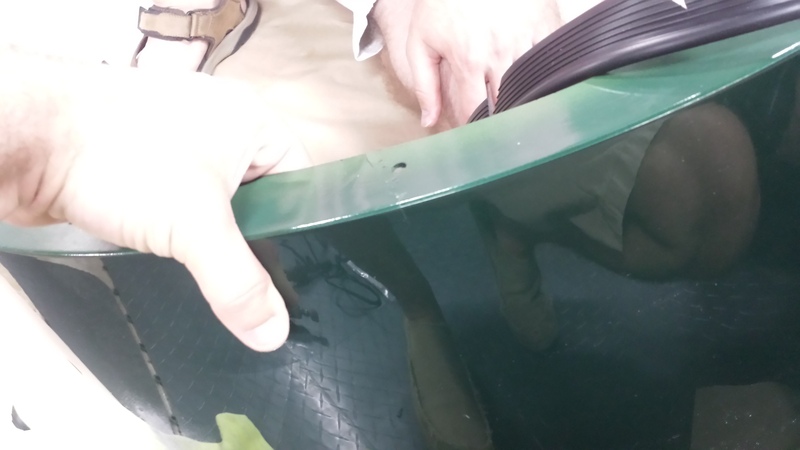 Quick pic of the radius arm hole opened up. Note, I’ve left the other front hole solid since I’m using the upper radius arm fitment point per the manual. I can re-sand later if need be. 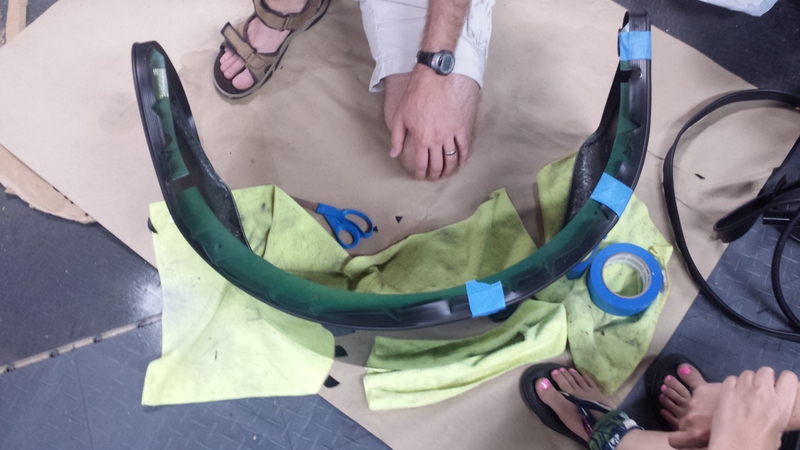 After the front and back were opened up, with Jon’s help, I laid out the wing piping. At first we tried drilling through the material to get to the small bolt holes already in the wing, but the piping just barely covered the hole so took an alternate approach. 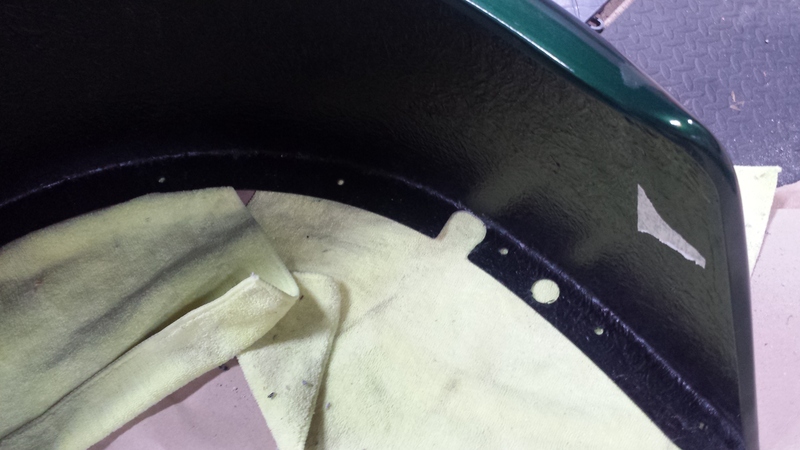 We cut small notches above each hole and I plan to just use the torque from the side panels to hold it all in place. I think this will work ok, but may add a tiny bit of electrical tape to the edge of the piping inside the wing to hold it in place. Or glue. Not sure, but we’ll see how it goes. 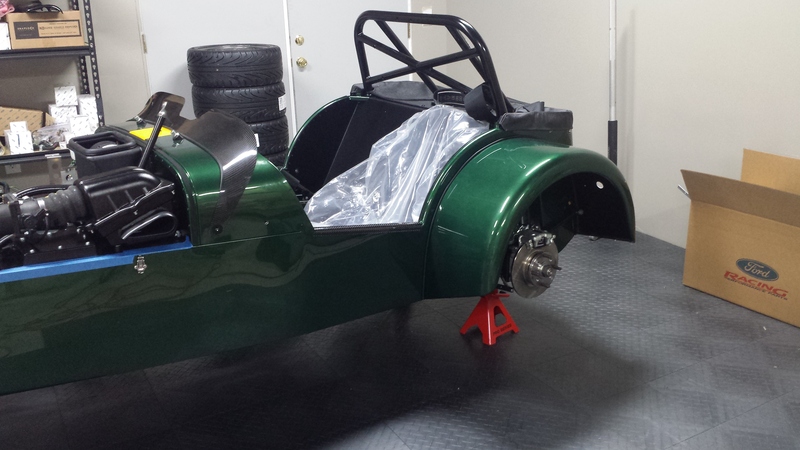 With the wings drilled out and one wing ready, we did a series of test fits to the side and adjusted as necessary. The left side of the car fit really well minus a couple of the smaller holes, which I sanded out with a small round file to enlarge them, but the right side needed a much larger opening made for the radius arm. With both wings fit, sanded, re-fit, sanded, re-fit, sanded, loosely bolted, taken off, re-sanded, test fit, re-sanded, and finally loosely bolted in we called it a day as Jon had to leave. I still need to get the wing piping trimmed up on the right side, but will work on that next week with Kim.